JeremyJahns.com: Edward James Olmos Joins "Dexter" Season 6! Ok, so if you've followed me for any given amount of time, you know two things: 1. that i'm a big fan of the show "Dexter", and 2. I'm a big fan of "Battlestar Galactica". And now it seems, that the two worlds are to collide. Click the jump to read more. 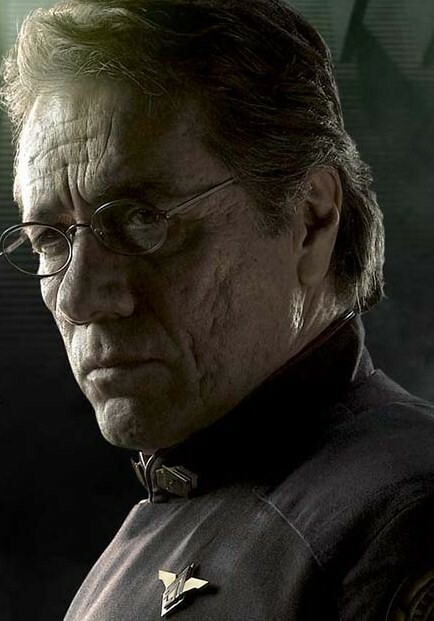 Yes, Edward James Olmos (Admiral Adama: Battlestar Galactica) has joined the cast of Showtime's "Dexter" for season 6 playing the role of a religious studies professor.....Not quite sure how he'll fit into the show's main plot, and of course rumors are rapid. One thing's for sure, this could be one of the greatest castings this show has seen to date. I for one have high hopes that Olmos can definitely bring the show to new heights and be one of the greatest characters to hit the show as Frank Lundy and the Trinity killer before him....that is if he's properly utilized. If they under play him and make it one of those scenarios where they get this great actor to play a useless character who offers nothing except to play some professor in some Maria Laguerta side campaign, then it might be one of the biggest disappointments to hit cable television since Entourage season 7.....and I might actually cry. But Olmos tweeted “It’s true… I’m coming for you Dexter….” Not gonna lie, the phrase alone gets me excited. If you haven't seen it yet, here's my review for "Dexter". This is the greatest thing i've ever heard. And on an unrelated note, review the trailer for Falling Skies! I'm so excited for it. You're Welcome, from your fans down under Andrew and Sarah Emery. ...oh and (if ya have time) The Sanctuary Series. I have no idea why you haven't reviewed that yet, it looks like it's right up your alley. Are the other seasons available on netflix streaming?